Established in 2008, Goodwin Electrical are trusted and reliable Plymouth electricians who are NICEIC approved and serve customers in the city as well as Plympton, Ivybridge and Devon. Goodwin Electrical can provide all of your commercial electrical contracting services using the most up to date components, meeting the latest safety standards and regulations. 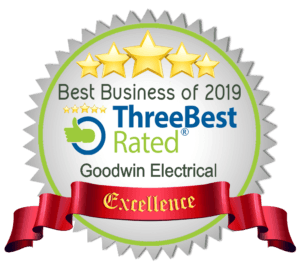 Established in 2008, Goodwin Electrical are trusted and reliable Plymouth electricians who serve customers in the city as well as Plympton, Ivybridge and Devon. We are a family run business dedicated to giving 100 percent customer satisfaction. 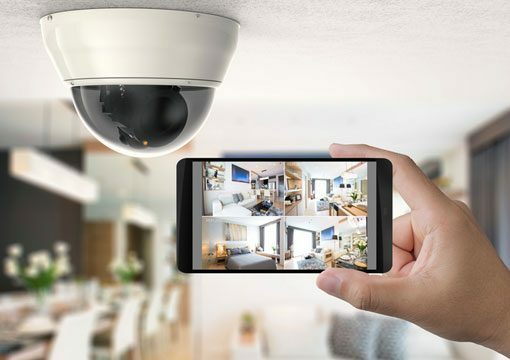 We work at the forefront of technology fitting the latest products and giving customers expert advice to help improve their environment and save money. 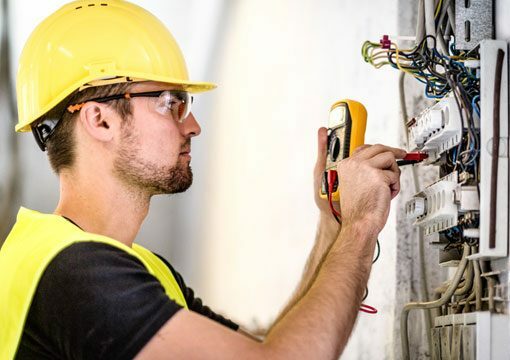 Here at Goodwin Electrical, we are highly trained electricians who undertake all types of electrical work including electrical installations, inspections, testing, repairs and maintenance for both domestic and commercial customers. We are the region’s leading electricians and are committed to providing the best possible service to our customers. Our services include fuse board replacements, LED lighting, CCTV systems, rewires, mechanical ventilation, EV charge points, electrical testing & inspection, solar panels, door entry systems, battery storage installs and more. We are registered with NICEIC which has the Platinum Promise to make sure that installation work is safe and meets the required regulations and is covered by a 6 year warranty on notifiable work. Goodwin Electrical were established by Bill Goodwin in 2008 and since 2014 Bill has been joined by his son Ryan Goodwin. We are a family run business committed to providing only the best electrical service for our customers. All of our customers can be confident that our electricians are fully qualified, highly trained and vastly experienced. As NICEIC approved contractors you can rest assured that we will carry out all electrical works safely and to a high standard. As well as providing only the most qualified and experienced electricians with the most up-to-date technology, we strive to always offer the best value service at the most affordable prices to our customers in Plymouth, Ivybridge and Devon. Goodwin Electrical have passed the strict ‘Which?’ assessments and can offer our customers ‘peace of mind’ that the ‘Which?’ brand brings. We can ensure that our customers receive the excellent service that is required from a registered ‘Which? Trusted Trader’. As an NICEIC registered contractor, the Platinum Promise will protect you should installation work undertaken by us not meet the required building regulations or installation standards. As part of the Platinum Promise NICEIC will support you through their resolution process.